Don't tell me Charlene didn't go today. She has never missed this excepting when the twins were born. This engagement has always been sacrosanct has it not? No Charlene and no twins...Maybe they are sick ? All at the same time? I might have believed that if Charlene's behaviour with regards to her public duties wasn't so erratic. Shame that Charlene didn't show - but she did make a handful of appearances over a few days a couple of weeks back so she probably needs to lie down for a bit. Or maybe that nasty Caroline was within a 5 mile radius of the palace, doing a bit of work and being all bitter about her totally unprepared offspring not inheriting. 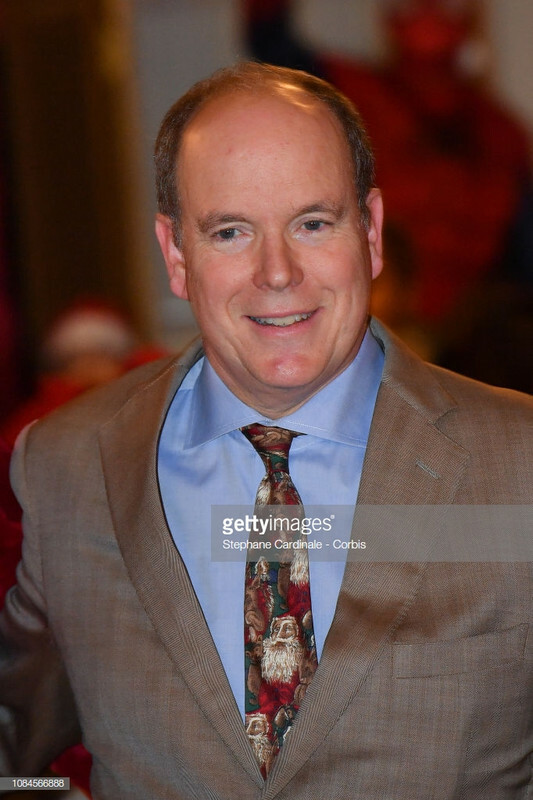 That is a nice picture of Prince Albert,but why does he look like Dezi Arnez Jr.?